How far are you from Makati? The Beacon Academy is around 45 minutes away from Makati. We also have buses that depart to and from The Beacon School in Taguig everyday to transport students and faculty. What makes you different from other international schools? We are rooted in Filipino culture and ethos. The student body, staff, and most of the faculty is Filipino. Therefore the content of our lessons works from this premise, to begin with local events and understanding, and work outwards into an international or global outlook. Teachers at The Beacon Academy are mostly Filipino, all of them have experience teaching in local or international secondary schools, many also have college teaching experience. More than half of our teachers have master's degrees. All our teachers go through extensive training in delivering the IB programmes and other teaching approaches. What is the benefit of enrolling my child in an IB Programme-based school? How do you plan to prepare my child for college? 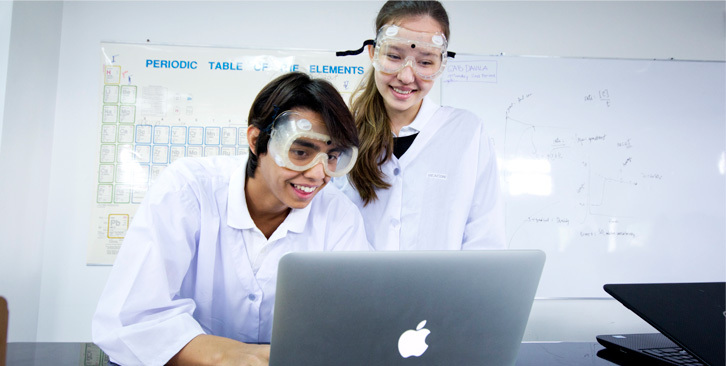 The methods and approaches to education at The Beacon Academy are aimed towards global best practices. The rigorous curriculum content prepares your child for participation and learning in any university classroom, whether it is in a lecture hall or a discussion-based classroom. The attitudes and skills towards learning also enable an individual to take his place as a contributing member of any community. Our average class size is between 12-15 students and we make it a point to never exceed 20 students to a class. Do you accept applicants with assessed or diagnosed learning needs? 1. There is full disclosure of a current assessment and/or diagnosis and all supporting documents are submitted to the school. 2. The Academy shall be able to support the needs of the child using its existing human, physical and technological resources, to meet its goal of providing a learning environment that will maximize the strengths of the child. Do you accept applicants with special physical needs? Students with physical limitations or disabilities may be admitted to the Beacon Academy provided that the school can accommodate the unique needs of the student using its existing resources. In such cases, admission will be based on the school's ability, at the time of application, to provide a safe space that the student can navigate despite limitation or disability. Admission will also depend on the school's belief that such limitation or disabilities or unique medical conditions shall not, in any way, pose a threat to the other students and persons that inhabit the same space.